How Aloe Vera Can Be Used for Treating Acne or Pimples? The pure and thick gel of aloe vera itself works as a wonderful remedy for acne lesions. To start with, cleanse your skin with a mild facial cleanser and pat it dry. Cut a fresh aloe leaf and extract the sticky gel from it carefully. Now, apply it all over your face and massage gently in circular motion with the help of your fingertips. Allow it to get absorbed into the skin by leaving overnight. Next morning, rinse it off with fresh cold water. These days, organic aloe vera soaps from various brands are easily available in the market. If you use any of them twice daily, you will see remarkable differences in your acne-prone skin. However, while purchasing organic aloe vera soap, look for glycerin in it so that your skin does not get dry and flaky during its application. Including aloe vera in your regular facial mask can be very helpful in healing acne scars. In this particular recipe, thick aloe vera gel is combined with fresh lemon juice to form a smooth paste of medium consistency. You can simply spread it all over your face and wait until it gets dried or massage the skin with it gently and leave overnight. Then, wash off with lukewarm water. Being anti-bacterial in nature, lemon juice can facilitate the action of aloe, puts a stop to further outbreaks and fades away ugly acne marks. 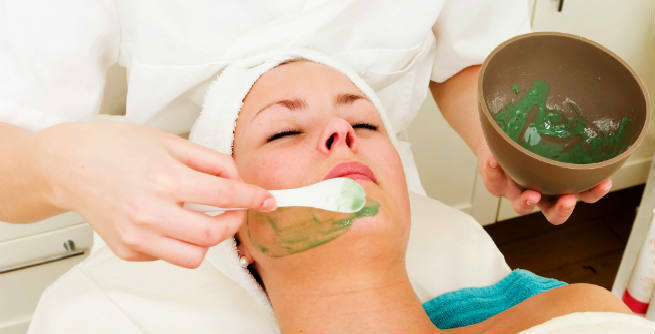 Here is another excellent acne-treating aloe vera facial mask that you should give a try. Take 2 tablespoons of pure aloe vera gel, 1 tablespoon of raw organic honey and 1 teaspoon of rose water. Blend all the ingredients well. Apply on your entire face and wait for 15 to 20 minutes. Then, rinse with plain water. Using this facial mask at least thrice per week can make your skin free from acne fast. The anti-microbial properties of raw honey can speed up the treatment of scars, while rose water can eliminate marks and blemishes successfully. 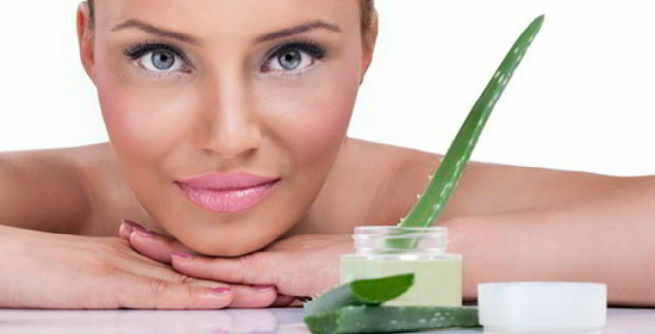 Just like pure aloe vera gel, the juice obtained from the plant can also be used for treating skin conditions like acne. Extract some thick gel from a fresh leaf of aloe vera and mix a little water with it. For a perfect blending, you can combine 1 tablespoon of water with 2 tablespoons of aloe gel. Now, dip a cotton ball in the mixture and dab over the trouble spots of your skin. After an hour or so, rinse off with lukewarm water. Apart from topical application, the oral intake of fresh aloe juice is also quite beneficial for acne sufferers. Cut down a large aloe leaf. Clean and wash it in a proper manner. Remove its skin and take the thick gel out carefully. Now, add a little water to the freshly extracted aloe gel and juice it up. You can also blend it with half cup of carrot juice and prepare a delicious drink for yourself. Drinking aloe juice twice a day can strengthen your immune system so that your existing acne gets dried fast and your skin become less vulnerable to bacterial infections.